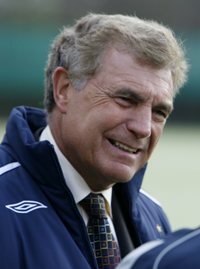 Sir Trevor Brooking hailed the success of the FA Tesco Skills Programme at a special coaching event at Wembley Stadium last night. Three million children have now passed through the programme and, to celebrate, 30 local schoolchildren took part in a special skills session on the hallowed turf before England's friendly with Holland. The FA's Director of Football Development said he was "delighted" with the progress of the initiative, which launched in 2007 and aims to reach almost 5m children by 2014. “We're delighted to reach that milestone figure of three million places filled," said Brooking. "It's all about learning and having fun in a safe environment first and foremost and, if we can improve skills and help the fitness of our kids too, then even better." After recent failures at major tournaments, English football has been criticised for not producing enough players with the technical ability to succeed at the top table of international football. But since joining the FA in 2003 Brooking has banged the drum for improving the skill base of young English players and, having overseen the introduction of the FA Tesco Skills Programme along with the Future Game strategy, the FA Youth Awards and the Young Player Development Review, he hopes that a brighter future is in store. "We're in a lot better state now. We are getting into the top three or four in Europe for young players," Brooking told the BBC. "I would like to think that in four to six years, at the 2016 European Championships in France or 2018 World Cup in Russia, whoever is in charge of the team will have much more depth to choose from. "I can't say we're going to start winning tournaments but I do think we'll be competitive with Spain, Germany and the Netherlands." 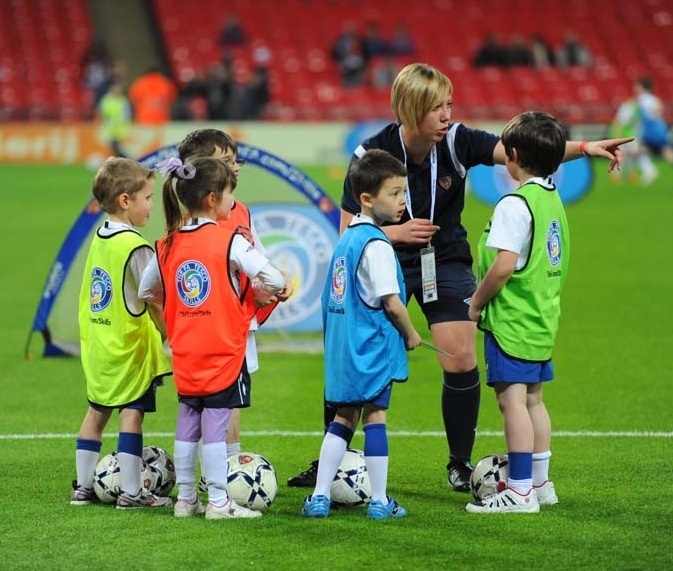 Run by The FA through a network of over 100 coaches around the country, the FA Tesco Skills Programme provides specialist, age-appropriate coaching for five- to 11-year old children of all levels of ability. It was initially due to run until 2010 but, following its initial success, £17m of extra funding was provided by Tesco, Sport England and the FA to extend the initiative by four years. The FA now aim to get 4.7m children through the programme by 2014. "We had problems with school sport in the 1980s and '90s so the Tesco Skills Programme is an attempt to give children access to age-appropriate coaches and courses," Brooking added. "It's trying to encourage youngsters to play with the ball, do individual skill work and work on their physical literacy - twisting, turning and so on. We want them to be comfortable on the ball." Last year over 900,000 children - 42% of them girls - took part in FA Tesco Skills Programme sessions at schools, clubs and skill centres across the country. The Programme has also engaged over 4,000 coaches nationwide. Images courtesy of the FA.